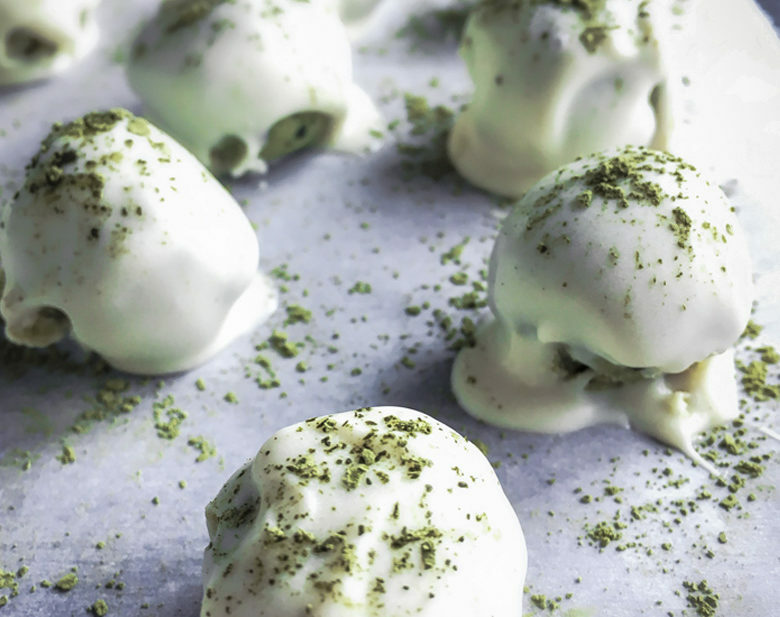 These GREEN TEA Matcha made in heaven truffles are sooo on point for this Valentine’s Day. 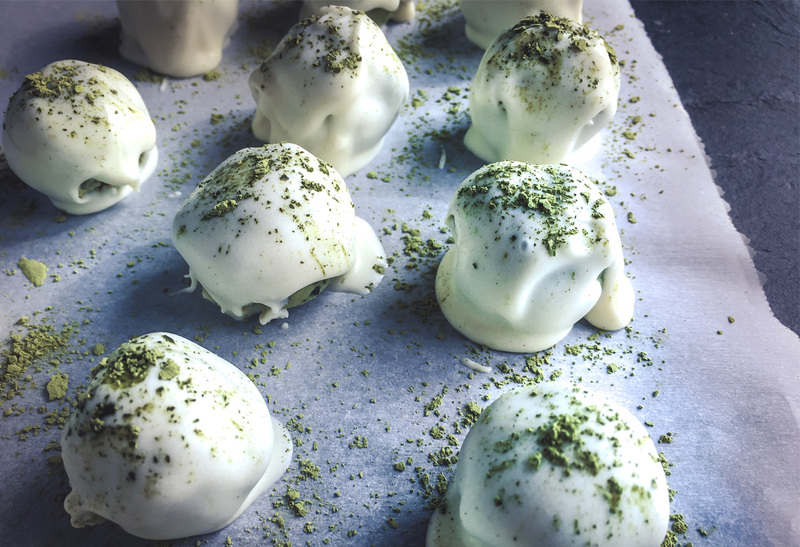 These GREEN TEA Matcha made in heaven truffles are so on point for this Valentine’s Day ditch the box theme. First of all the matcha green tea and white chocolate pair perfectly with it’s creamy, earthy plus sweetness texture. 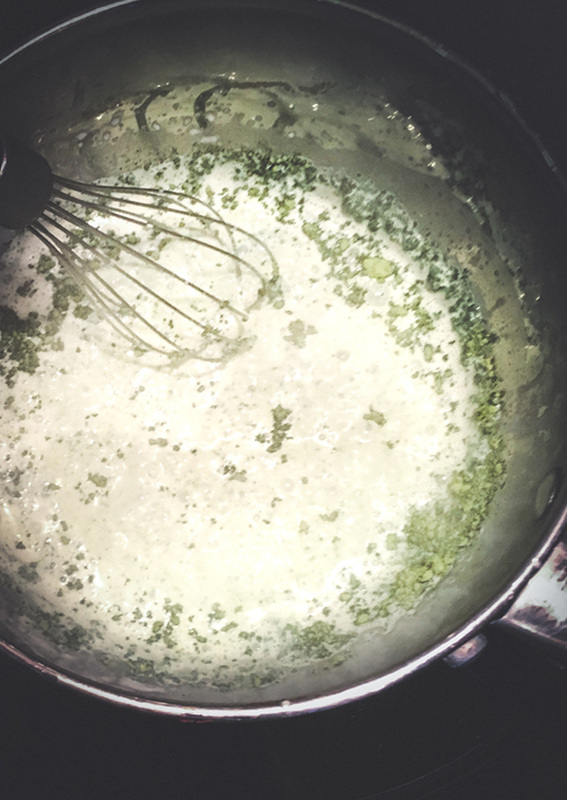 Bring cream to a simmer in a saucepan. Whisk in butter till incorporated. Turn heat to low. 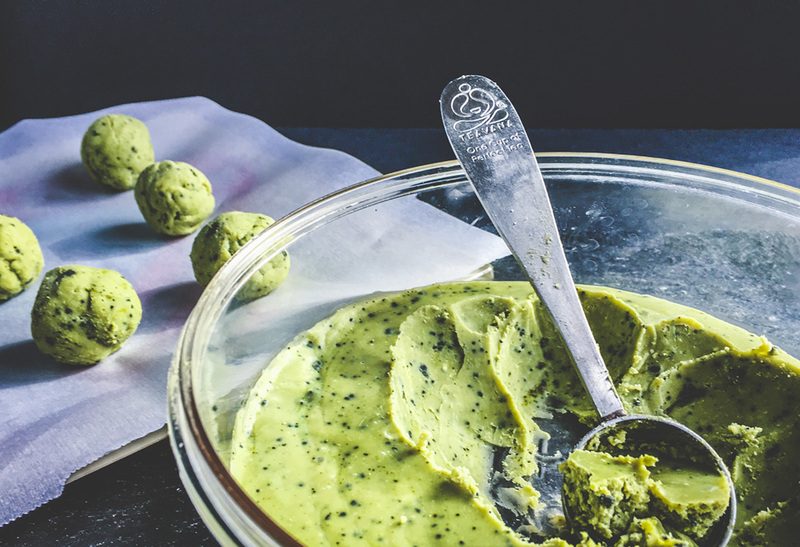 Add two tablespoons Matcha green tea powder, then one bag of the white chocolate. Stir till smooth and creamy. Pour mixture into a glass bowl and refrigerate for two hours or overnight. Take mixture out of the refrigerator and let sit on the counter for 10 minutes. Using a tablespoon measure out a small amount and form with fingers to the size of a golf ball. Repeat, until all are made and placed on parchment lined pan. Melt one bag of chocolate in a glass dish at 30 seconds in the microwave. Stir, then melt an additional 30 seconds, stirring after till smooth. With a skewer insert a ball on the end and dunk in melted chocolate to coat. Twist, twirl excess off into a bowl. Carefully place on paper to cool. 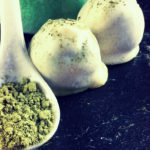 Make three balls at a time, and stop to add a pinch of matcha tea on top of each before chocolate hardens. 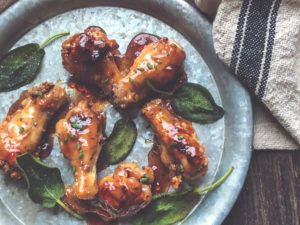 Cool for 20 minutes in the refrigerator. Matcha Green Tea is brim full of antioxidants, but it’s catechins are the most potent and beneficial. One specific catechin called epigallocatechin gallate (EGCg) makes up 60% of the catechins in Matcha Green Tea. Out of all the antioxidants, EGCg is the most widely recognized for its cancer-fighting properties. So, with the yin comes the yang here. 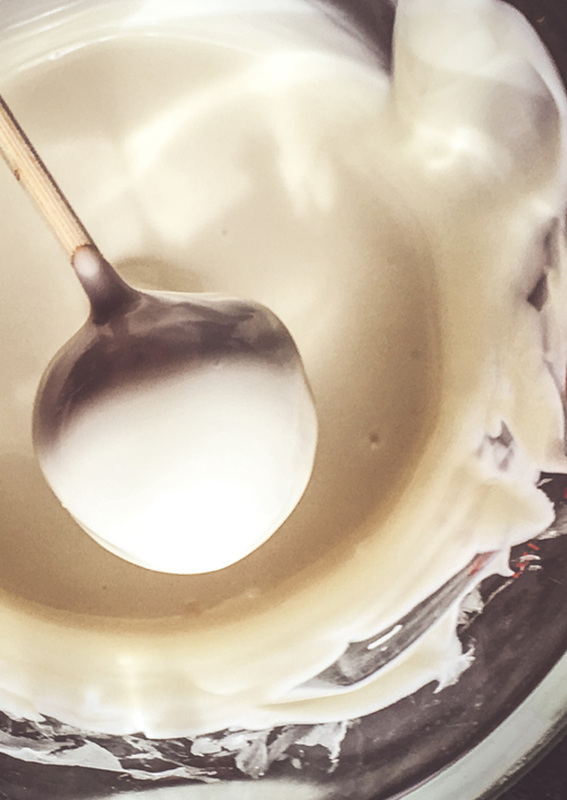 Cream and butter not quite on our bucket list of healthy and white chocolate do not have the same health benefits as it’s counterpart– err. So, we indulge and savor these truffles bite for bite. Just be sure the white chocolate you buy is good quality made with cocoa butter as its main source of fat. And read labels carefully to ensure it doesn’t contain any trans fat. Are you seeing a theme here? Heart-healthy valentines unite. Ditch the box, get the real stuff and feel good about it.